After leaving the camp at Grand Falls, Sitgreaves followed a heading nearly west, intending to pass the north side of San Francisco Mountain. 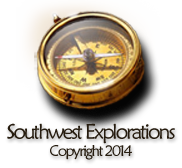 They were traveling though the northern part of the San Francisco volcanic field. 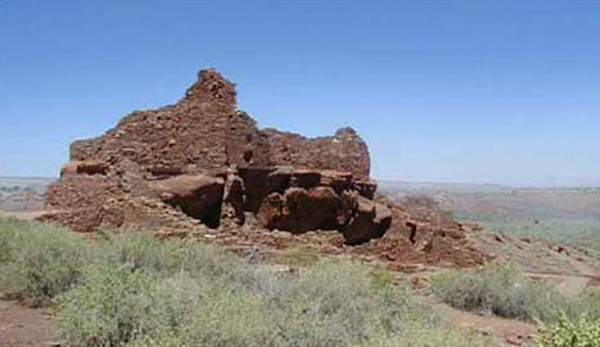 In the afternoon they began encountering a region containing many ruined stone pueblos, known today as Wupatki National Monument. Expedition artist Richard Kern sketched one of the ruins near their campsite. The ruin shown here is behind the modern Visitor Center at the National Monument. “October 8 . Camp No. 14. — …Leaving the river then, we passed along the base of high table lands, the lava sand lying several inches deep upon the ground, filling up the hollows, and forming ridges across the plain; and, ascending the plateau, found it also covered with the lava detritus, and all the prominent points occupied by the ruins of stone houses of considerable size, and in some instances of three stories in height. 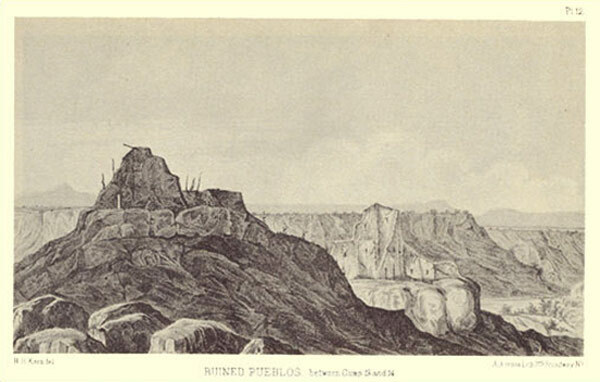 They are evidently the remains of a large town, as they occurred at intervals for an extent of eight or nine miles, and the ground was thickly strewed with fragments of pottery in all directions. The fact that no vestige of water could be discovered in the vicinity sufficiently accounts for their present depopulation. The encroachment of the lava-sand blown down from the adjacent mountains may have gradually filled up the springs and water-courses; it is certain, at any rate, that the heaviest rains would now be rapidly absorbed by it, and after a day or two leave no trace of water upon the surface.